Over the last couple of weeks Ive been super busy with a wedding dress project Ive been designing and making since the beginning of June. 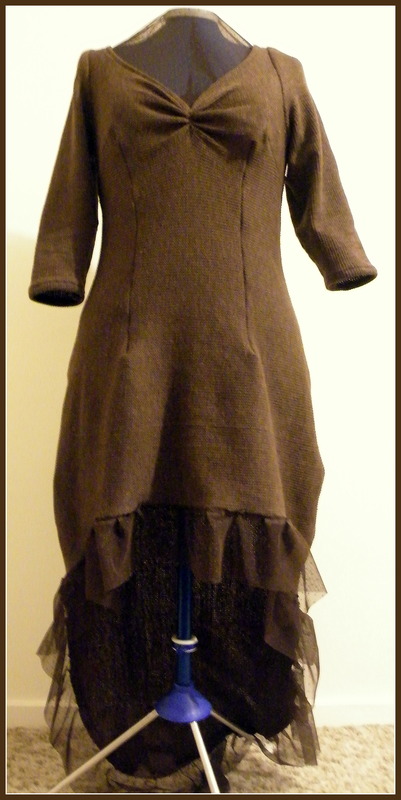 The dress is now finished and shipped, PHEW(! ), and I had a few days before having to pack everything and move to the country, to get a couple of dresses made for myself. 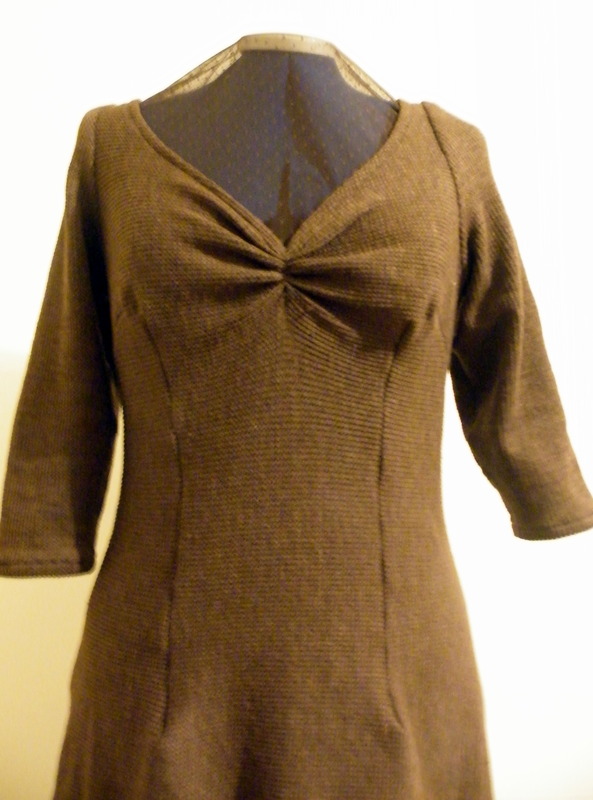 The first I made using a really lovely brown knit material i got really cheap in a fabric store sale. 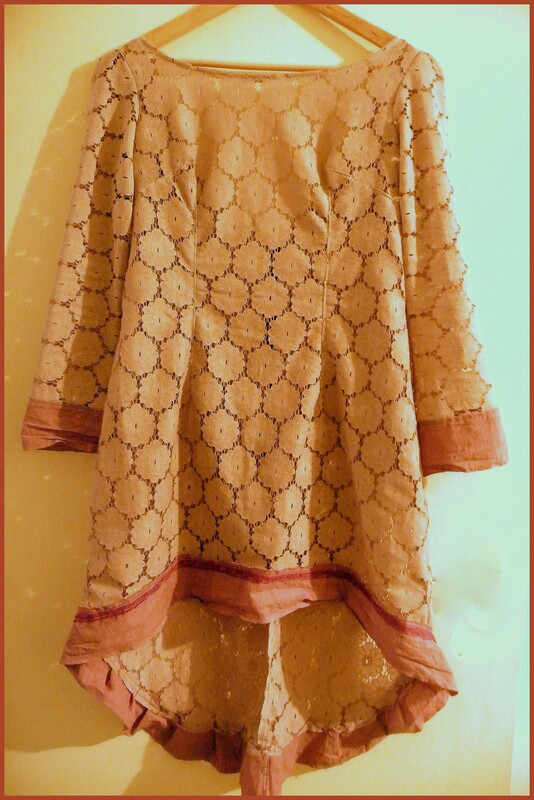 I edged it with a sweet polkadot brown lace material. It sits really nicely on and is super warm too (its winter here in Oz). The second dress was a lot more inspired by the Pre-Raphelite photos, with its wide neckline, slightly puffed bell sleeves, and colour. I fell in love with the cotton lace when I saw it and had to by myself a couple of metres…its beautiful to work with because its non stretch and pretty strong too. Its completely see through so I bought a vintage slip from savers and upcycled it with an assymetrical hemline and added lace to the hem, to wear underneath it. 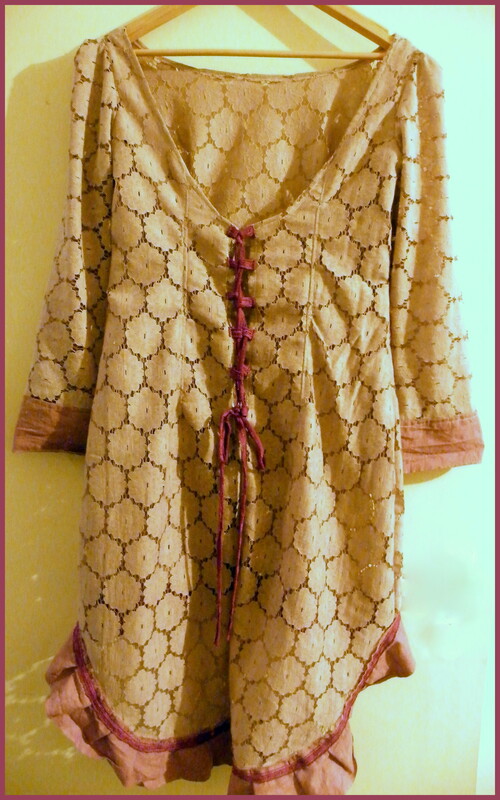 For the 2nd dress I used the beautiful cotton lawn and cotton lace I dyed a few weeks ago with the RIT dyes…I dyed it twice, first with ‘Wine’ and then with the ‘Cocoa brown’ and it ended up a really soft light dusky pink on this peice of material (I think it must have had a strong factory finish on it as the other material/lace was a LOT darker). I’ve lived in this dress since I made it and had tons of compliments wearing it. 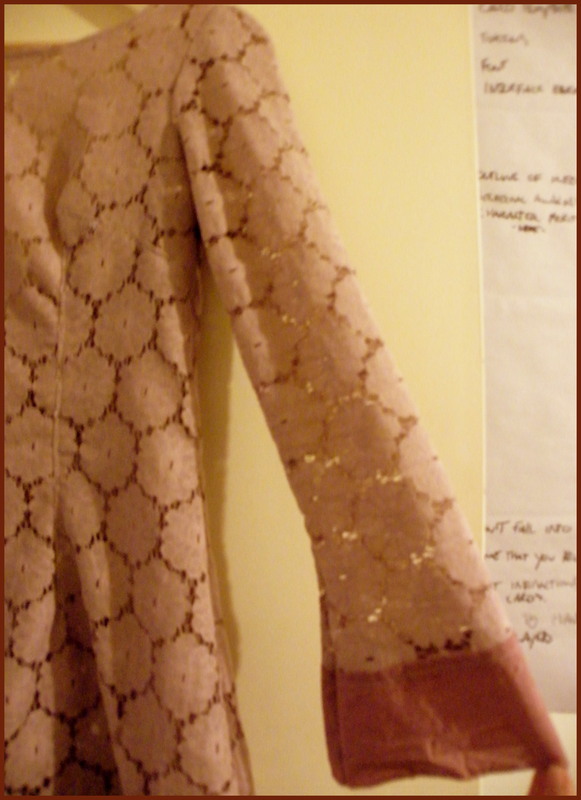 Im thinking that I may replicate this in other sheer lace materials and make more to sell. Im also thinking of buying lots of vintage slips and dying them to sell with the dresses. We’ll see how that all goes!